It's virtually impossible for anyone to fall for a phishing scam when using this software. With this single solution you get anti-phishing protection and training awareness built-in. The traditional padlock is a reliable way to make sure a site uses encryption. But it’s not a reliable way to check for website identity. 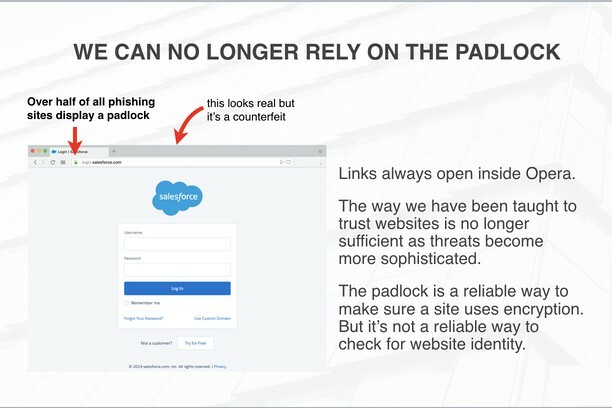 92% of all phishing sites have a padlock. MetaCert’s unique approach makes it virtually impossible for anyone to fall for a phishing or spear phishing attack. With BILLIONS of URLs “Verified by MetaCert”, you will always know when it’s safe to type your login credentials into a website. Links that display a black shield are ‘unknown’, and can therefore be considered hostile. This is how MetaCert makes it virtually impossible for anyone to fall for new threats that go undetected by other security systems. Every security company has varying degrees of success when it comes to detecting malicious threats. You could use 10 solutions and still be at risk. MetaCert is designed to work seamlessly with all other security systems. 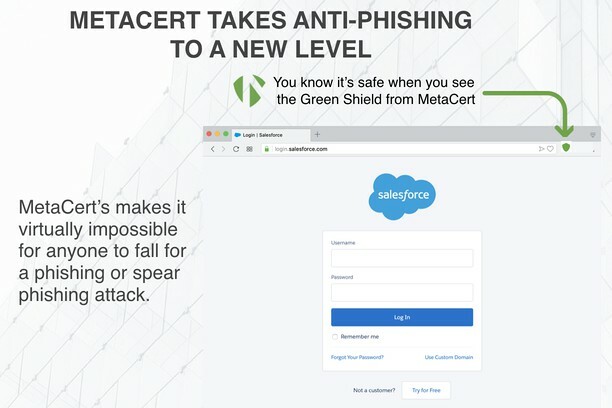 In addition to displaying the green shield for verified links, MetaCert also blocks any known phishing threats to complement existing solutions that may have missed them. While MetaCert and other security companies get smarter when crowdsourcing new threats, only MetaCert gets smarter as more domains are verified as safe every hour of every day. This is a paid service but you can try it for free for 30 days. No need for a credit card to get started. Whether links are shared or opened inside a cloud service, email, Skype, Facebook, Slack or any other channel, employees are fully protected by MetaCert. The software takes 60 seconds to install and 60 seconds to train employees in how to use it. 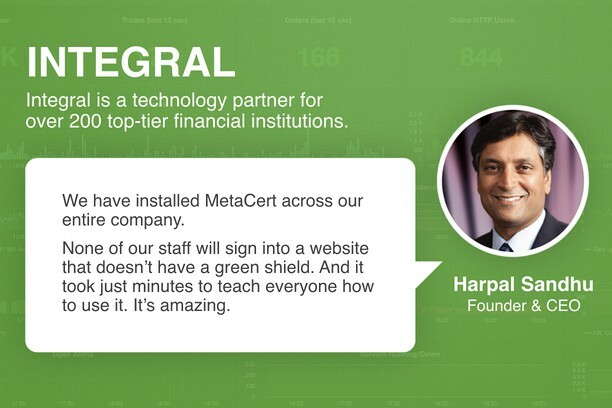 MetaCert has everything needed for companies with as few as 5, or as many as 50,000 employees. Visit https://metacertprotocol.com/cryptonite to learn more about the two subscription models.